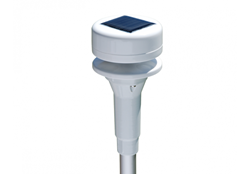 The Ultrasonic Wind Speed and Direction Smart Sensor is compact and rugged with no moving parts. Because this sensor is ultrasonic it is able to measure very low wind speeds, down to 0.4 m/s (compared to 1.0 m/s for our mechanical sensors). As with all Onset smart sensors, this sensor is plug-and-play with HOBO stations (RX3000, USB Micro Station and the U30-NRC). Because it is automatically recognized by HOBO stations, there is no need for programming, resulting in fast and easy deployment. 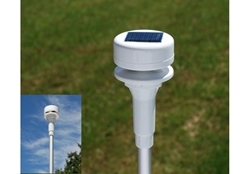 The sensor is powered by its own built-in solar panel. * A single HOBO station can accommodate 15 data channels and up to 100 m (328 ft) of smart sensor cable (the digital communications portion of the sensor cables).